When walking along Narva mnt. the sidewalk gets narrow after the Methodist church. You got to be careful. The passing cars shoot slush at you if you're not paying attention. At the same time you have to have your other eye looking for the right corner to turn. Behind the bigger gray building you find this cottage-like smaller structure. In front of it you wipe your shoes(!) and step in: you're in Haku. Where fat sizzles and a knife goes ”chop-chop”, you find Shuichi Shiraishi. A ”licensed” Japanese chef. Licensed, because Shuichi worked in the Japan's embassy at Fidzi some years ago and there you need to be a licensed Japanese cuisine chef. He earned his laurels in different establishments around the globe, not least in a Michelin starred Bulgari hotel in Tokyo. 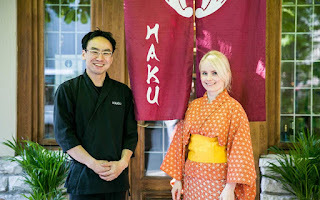 They are going to be the one's, (and the only ones, since Haku does not employ anybody else) making sure you enjoy yourself in a traditional Japanese milieu. Since the Silverspoon awards, Haku snaffled in 2017, Marju and Shuichi have had to change the door-check once a month. Especially the weekends are busy. This means the couple practically lives in the restaurant. 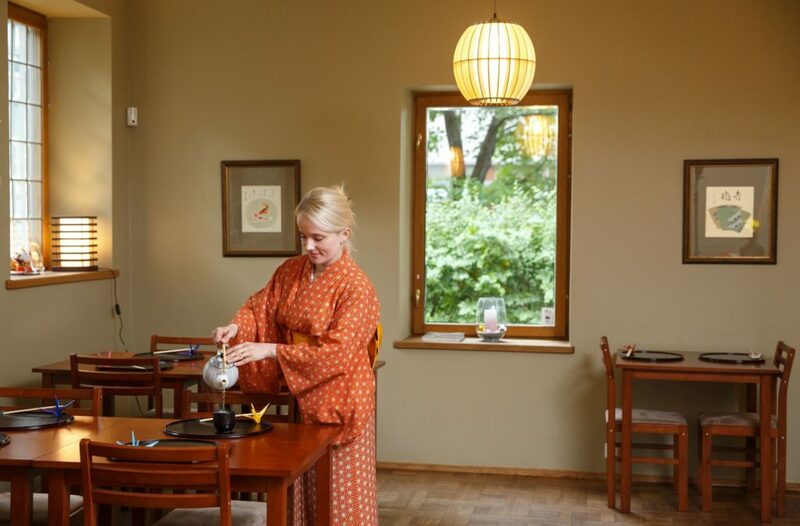 Recently a Finnish magazine, writing about vacations in Estonia, published a long story of the Silverspoon winners. 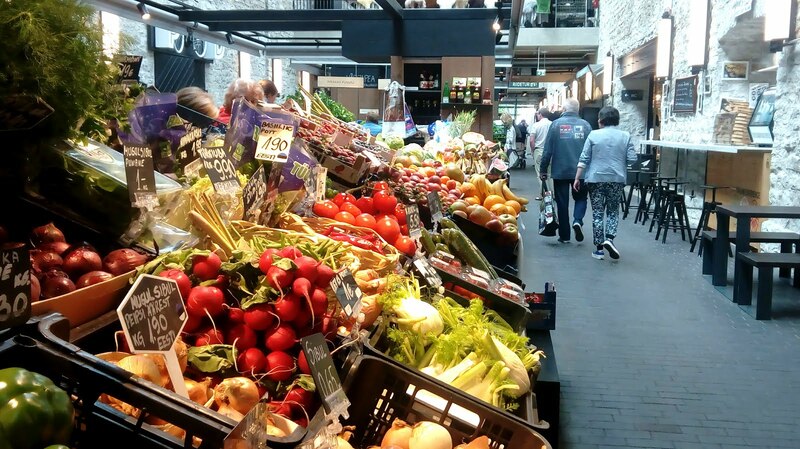 The word has it, many foodies, gastro-tourists and other hippies are lining-up in ferry terminals at summer to come participate in the Estonia's culinary hype. It just might be that Shuichi's and Marju's summer vacation is canceled. 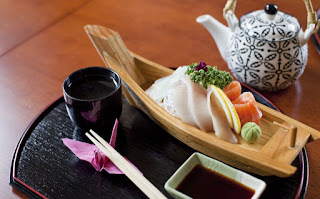 ”Becoming a sushi-chef in Japan takes minimum ten years”, explains Shuichi. It goes without saying that he doesn't rank the traditional western sushi-restaurants very high. The cooking school, in Japan, takes two years, but the restaurants are unwilling to hire people from school bench. Instead, an apprentice system is favored. You knock on the back door and ask if you can come to wash dishes. The story tells of the Emperor's chef in Japan who, before obtaining his position in the Emperor's court, had to beg behind a restaurant's back door for weeks before he was allowed to enter as a trainee. The first year was difficult for Haku. The guests didn't find the restaurant. The couple insisted in not marketing their establishment, but instead, wanted to have the word go around. ”It is amazing how one week you have very few people. Then a reporter came to try our tataki. Next week everybody wanted to have the same,” laughed Marju. Talking about trendy foods, what amazed Shuichi was the trendy drink kombucha, sold now in almost every respectable groceries store: ”It's a Japanese thing. First time I saw it, I thought it interesting to have it here. Should the Estonian people like it?” It turned out the ”kombucha” was not the drink made of seaweed kombu, what Shuichi had been used to. ”Why do they give these names for foods which they are not?”, asked chef Shiraishi. The story was published first time in Silverspoon.